Today I’m joining in series of Blog With Friends theme collaborations. 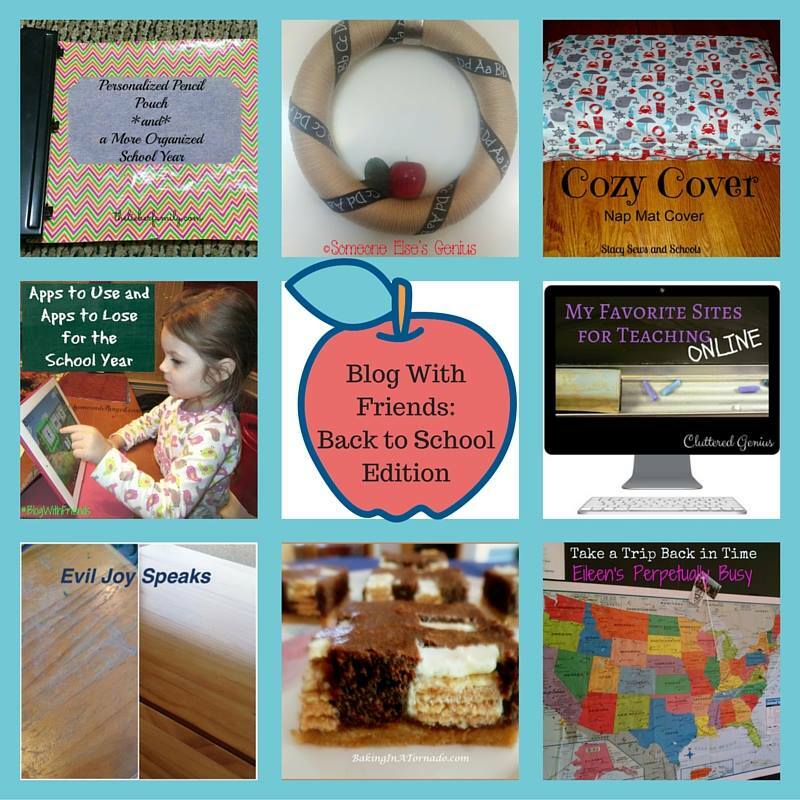 Each month a group of bloggers get together and each publish a project based on a theme. In any given month there may have a recipe, sewing tutorial, crafts projects, book review and/or a technology post all related to the theme of the month. Links to all those participating are at the bottom of this post! Thanks to Karen of Baking in a Tornado for all she does with these collaborations!! “Why did you refinish my firewood?? ?” Dr. 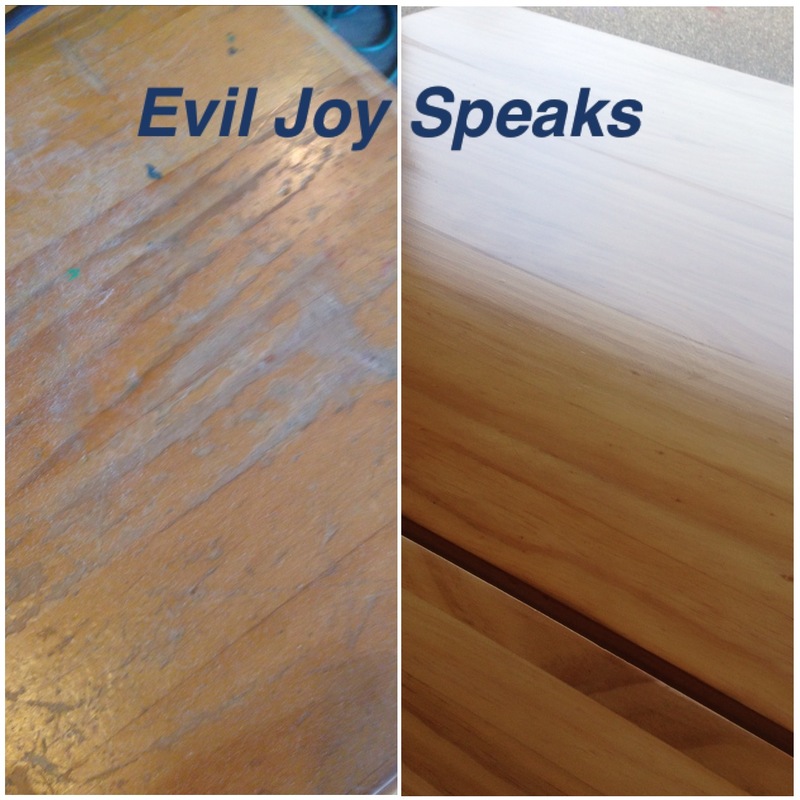 Evil texted me when he found our kitchen table in the garage. This table. This poor old table has seen much better days. We bought it 12 years ago somewhat on a whim (us, implusive? no….never). It is made of solid pine. Did you know solid pine is solid, heavy, and SOFT? Within 45 minutes of owning this table it had it’s first ownership mark. Eldest chewed on the leg and it made marks. Awesome, right? Over the years, the table has become more tired and abused. Nail polish, Easter egg dye, carvings by children and pumpkin knives have left their marks. And two weeks ago, the table was nearly replaced. We went looking for a new set of couches and found a table. Given our impulsive shopping methods I purposely left my wallet at home. We found a table that was wonderful however given we NEED a new mattress, our couches are older than three of the kids and smell like dog, and our carpet has been chewed on by dogs, a table is fourth (at least) on the list. Dr. Evil went on travel. I hatched a plan. I had the Bigs help me get the table out of the house and into the garage. Off to the Home Depot I went and bought some basic supplies. Sand paper of two different grits, clear poly, and staining pads. For two nights I sanded. Not much pressure was required. Sanding with the grain and in even strokes was my goal. I started the varnish. Even strokes with the grain across the entire surface for each stroke. Some trial and error showed me stopping half way across the table left streaks and air bubbles in the varnish. After three coats I used a super fine grit sand paper to rid the table of any streaks. Three more coats of poly and …. TA DAH! My kids now have a place to do homework and will no longer get splinters while they study!! Here are the other amazing participants! 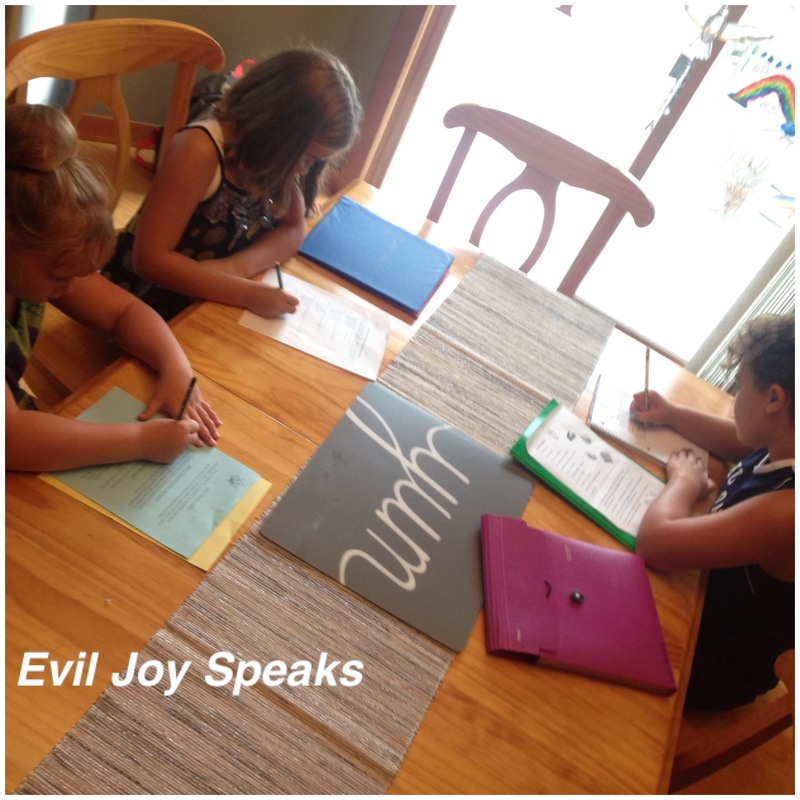 Evil Joy here with a post on homework, my spawn, concentration, Monday mornings….and keeping Evil Joy at bay. Second Eldest Female Spawn came down – was reminded of the homework and sheepishly (and sleepily) sat at the kitchen table to do it with me. Done. Then it was time to convince her to take a shower. After Dr. Evil and I both telling her she smelled like farts, she headed up to shower. She didn’t really smell like farts, but something Evil Akin to it. Then…there’s Eldest Female Spawn. I seem to be odds with her more than I’d like these days. Homework is a particularly tough area to contend with. I think we are so Evil Alike we meet boiling point at the same time. The mere mention of homework sends her into an Evil Tizzy. Which I try very very very hard to show no emotion toward. Simply calm. Deep breaths, count to 10 (or 1,000,000) and redirect. Over and Evil Over and EVIL Over again. She has currently been working on six math problems that should take approximately 6 -8 minutes total to complete. We’re going on 20. With two to go. Let me remind you, as I do often, I have a degree in Applied MATHEMATICS. The various ways of addition, lattice, column method…etc…I don’t remember all that Evil Crap. I love math for the logic of it. I know my addition and multiplication and all that jazz because we were forced (happily) to memorize the crap out of our facts. I work with my Spawn on this. They are getting it. But it was beat into us. No hesitation was allowed. Okay. Done. I just can’t understand or figure a way to explain to her to leave the emotion at the door and do the work. The work must be done anyways, so get to it, move on and enjoy the rest of the morning, day, evening…whatever. Every EVIL FREAKING DAY it’s the same drama over homework. Makes me want to add more just to show her it’s good and fun. They like to play school – why can’t she pretend she’s teaching school and showing the class how to do her work?! 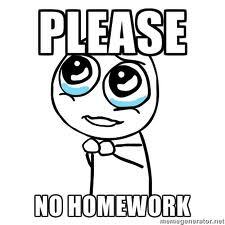 Do you have homework challenges? How do you deal with them? EJ out – to redirect again…this time concerning flossing the braced teeth….and not getting to play with her craft stuff. Yikes…..when does the bus come?! Send me positive thoughts today. Help those thoughts along by clicking on the Top Mommy Blogs icon on the right. Vote early, vote often. No campaign calls from EJ!